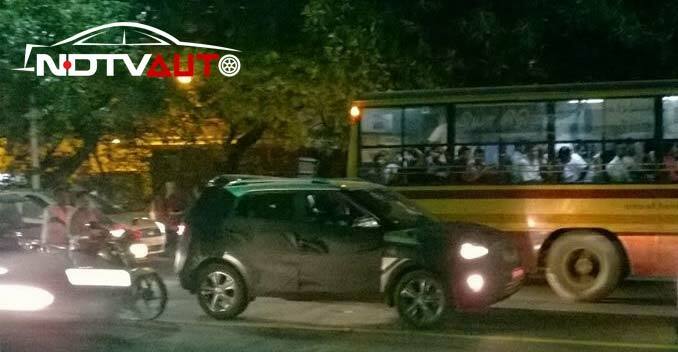 For last several months, we have been telling our readers about Hyundai's plans of launching the i20 crossover and the ix25 compact SUV, and today we have exclusive pictures of the car undergoing test runs. 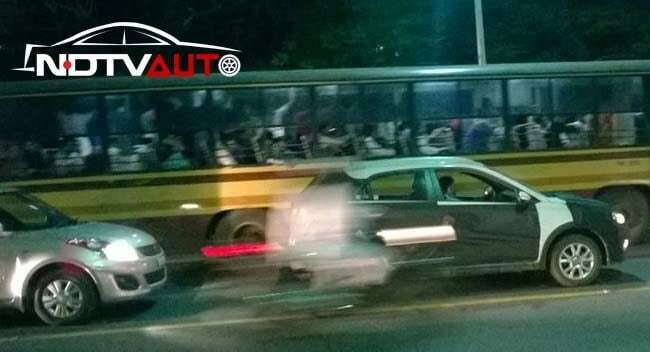 Spotted testing in Chennai, the pictures were clicked by our avid reader, Anant Pratap Srivastava, Though camouflaged, the spy shots reveal some interesting details about the cars. The i20 crossover, though based on the premium hatchback, manages to look like a proper crossover and not just an extended hatchback. The vehicle's height and ground clearance have been increased to give it a pseudo-SUV like stance and will also help the car handle uneven roads and potholes with ease. It also gets bigger alloy wheels than its hatchback sibling, additional body cladding and more aggressive front and rear profiles. That said, the most significant changes could be made to the rear of the car. Though we don't have any interior pictures of the crossover, we expect it to get a sportier and more feature-rich cabin than the hatchback. All these aforementioned changes will make the crossover slightly pricier than the hatchback. Hyundai aims to achieve 90 per cent localisation to price both the products quite aggressively. Expected to be launched sometime in the first half of the current year, Hyundai India's first-ever crossover will take on other hatchback-based crossovers including Fiat Avventura, Toyota Etios Cross, VW Cross Polo and the upcoming SX4 S-Cross. Powering the vehicle could be the same engine options - 1.2-litre Kappa2 petrol and 1.4-litre CRDi diesel - that do duty on the i20. Talking about the ix25 compact SUV, it will be above 4 metre in length and will rival against the likes of Renault Duster, Nissan Terrano and the upcoming Maruti SX4 S-Cross. The spotted picture (Image no. 1) reveals that the ix25 will have five-spoke alloy wheels, roof rails and good ground clearance. Powering the ix25 coule be the same, 1.4-litre VTVT petrol and 1.4-litre CRDi diesel, engines that are found in the Hyundai Verna.